I would love to do a custom screen print on wood or paper for you. Turn your favorite photograph into a one of a kind screen printed work of art. Price depends on the project and quality of the photo you have. The larger the file you can send, the better we can make this look. Your digital photo will be converted into a half-toned image capable of being screen printed. This process is similar to that which you see in newspapers. It allows your image to be printed using one colour (black) to achieve all of the shading of the image. The image will be output onto a clear film transparency and then exposed onto the silkscreen. I then hand print the photo onto 1/4" birch panel or 100% cotton rag art paper. 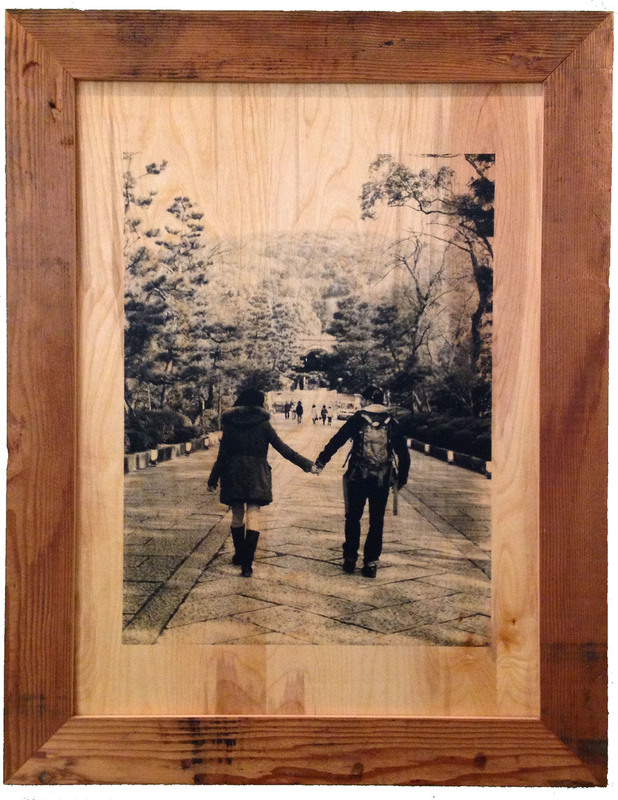 Wood prints are finished with a light mineral oil to bring out the grain. You also have the option of having your piece framed in a rustic wood frame. Email rye@lundyprintco.com the best file you can and from there I can give you a custom quote with options.